Ramsay Hunt Syndrome is a condition brought on by the reactivation of the same virus that causes the chicken pox. When this virus is reactivated, it affects the facial nerve, often causing hearing loss, a blister-like rash, and temporary facial paralysis. Babak Azizzadeh, MD, FACS, and Director of the Facial Paralysis Institute is world-renowned for his cutting-edge treatment of temporary and permanent facial paralysis. It is believed that Ramsay Hunt Syndrome is caused by the reactivation of the varicella zoster virus, the virus that causes chicken pox, that has been lying dormant for years. The condition often presents as a blister-like rash near one ear that can be quite painful. Hearing loss in the affected ear is also common, as well as temporary facial paralysis. high dose of ​a steroid such as prednisone. ​This treatment may help prevent severe or permanent facial paralysis. Dr. Babak Azizzadeh is a highly regarded facial paralysis surgeon who is known for his innovative facial paralysis treatments that help patients regain facial animation. 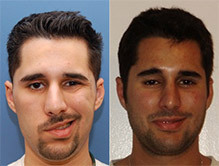 He treats patients with facial paralysis as a result of Ramsay Hunt Syndrome who are trying to restore facial movement. Seeking medical treatment right away is crucial to full recovery, but Dr. Azizzadeh does have some treatment options for those looking to restore symmetry to the face. One of the most common treatments Dr. Azizzadeh performs in patients with temporary facial paralysis is Botox injection. Dr. Azizzadeh can target specific muscles in the face to inject with Botox in order to relax them and create a more balanced and symmetrical appearance. 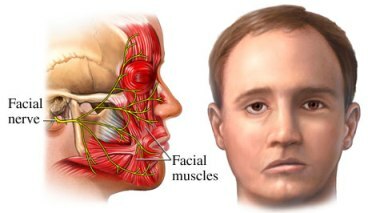 In most cases of Ramsay Hunt Syndrome, the facial paralysis is temporary, making Botox an effective temporary treatment. If you do experience permanent facial paralysis brought on by Ramsay Hunt Syndrome, Dr. Azizzadeh has several surgical treatment options. 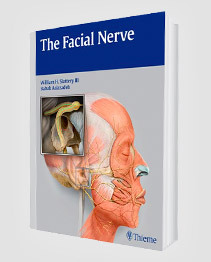 Depending on your unique case, he will devise an appropriate treatment plan to restore facial animation that may include a cross facial nerve transplant or a masseter-to-facial nerve transfer. 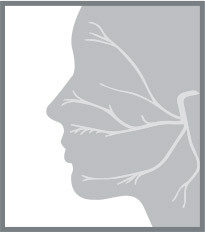 If you or someone you love is struggling with the effects of facial paralysis brought on by Ramsay Hunt Syndrome, contact the Facial Paralysis Institute for more information on treatment options. 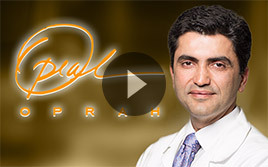 Dr. Azizzadeh is a world-renowned facial paralysis surgeon whose expertise has been featured on various television shows and media outlets over the years. Contact (310) 657-2203 today for more information or to schedule a consultation with one of the world’s best facial paralysis surgeons. For more information on Ramsay Hunt Syndrome, contact our office in Beverly Hills.